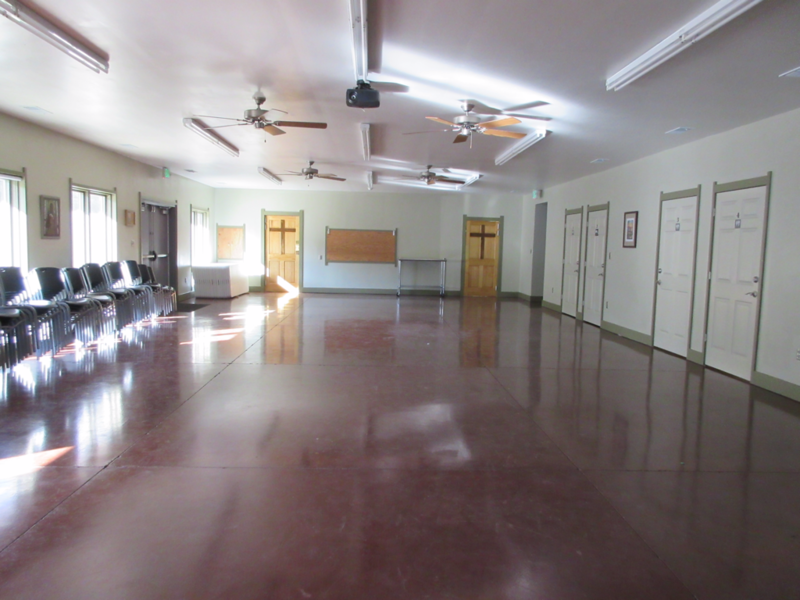 Groups who wish to use any facility or part of Camp Tekakwitha must have a reservation. Casual visits are not possible. Please contact us if you would like to visit the property. *Camp Tekakwitha is not available for weddings (indoor or outdoor). *Rental fees quoted do not include setup or cleanup. Groups are responsible for their own setup and must return facilities to the condition found upon arrival. Please do all you can to minimize the amount trash your group generates. *During your rental period your group not only has access to the building rented but the grounds as well. The camp is quite primitive, with lots of animals and a diversity of plant life. You may enjoy wandering around the lake or just sitting on a bench to watch our birds and waterfowl. If you are on the property during warm months you will need to be on the lookout for snakes. St. Kateri Chapel is our beautiful indoor chapel. Chapel availability depends on special arrangements made in advance. It is not for rent and Schwarzhoff Hall rental does not automatically include its use. ​Campers must remove their trash from the property upon departure. Damage: Normal wear and tear is acceptable. Accidental or intentional damage to facilities or property will be billed to the parish or school.